This ritual can be used to absorb the courage, power and joy of the season. You can carry out this ritual at any time during the three-day period. You might like to perform it at dusk on the eve of the solstice or at one of the other traditional times, such as midnight, the dawn of the solstice day or noon. Alternatively, you may prefer to watch the actual solstice sunrise from a hill or an open place or even close to one of the sacred sites at dawn. * Take eight large, long, rounded stones, one for each spoke on the Wheel of the Year. * In front of each stone, place a yellow beeswax or gold candle and set a large gold candle in the centre of the circle. If you have a cauldron or large pot, you can set the central candle in that. Surround the central candle with flowers and herbs of midsummer, if possible freshly picked from an outside source, and any greenery. 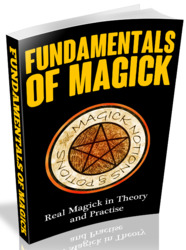 * If you are working in a group, members can stand around the circle, one at each of the points of the year, with the rest of the coven standing in the North, in a line, facing the South. If you are alone, you may wish to adapt the ritual so the stones and candles are smaller. 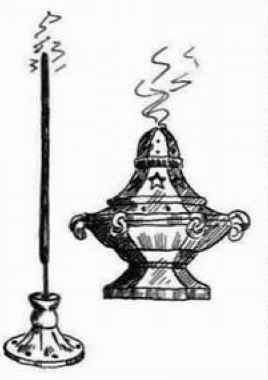 Place the central candle on your altar, which will on this occasion be standing in the North, facing the South, and move round the altar in a circle. Sun, sacred centre of warmth, light, light and fertility, I greet you on this your time of glory. Sun who has been from the beginning, King, God, Father, orb of inspiration, I greet you now at this your time of glory. The Sun is born anew, see light grows, light flames to illuminate the darkness and promises renewal as the Wheel turns too. The Sun increases and the maiden flames the white fields. You claim her as your own and so the year turns and life and light wax as day returns. Once more you overcome the darkness; the throne of light is yours to ascend and longer days are won. Your warmth brings green growth once more to the barren Earth. I kindle fires to draw your healing strength and the corn will grow high. Earth, are joined on this day. * Around the summer solstice candle, scatter a circle of dried or fresh dill, St John's wort, vervain and clover (trefoil) - these are the herbs that bloom at this time and were used to exorcise harm and bring protection to home and people. If you cannot get any of them, use rosemary or any of the herbs of the Sun. May the summer sunshine fill All with life and hope - and keep Hearth and home safe while I sleep. Scoop up some of the herbs in a tiny purse or drawstring bag. Keep it and place it beneath your pillow before sleep. You will, it is said, dream of the person who can make you happy and also, if you add some golden pollen to the sachet, of ways of increasing your wealth. Wheel turn, though light from henceforth falls, Turn year, till spring and new life calls. * Leave your solstice wheel of candles to burn down. * The following day, when daylight comes again, plant golden flowers and spend the day in the open air if at all possible, enjoying every moment of light until you witness the Sun setting in the West.